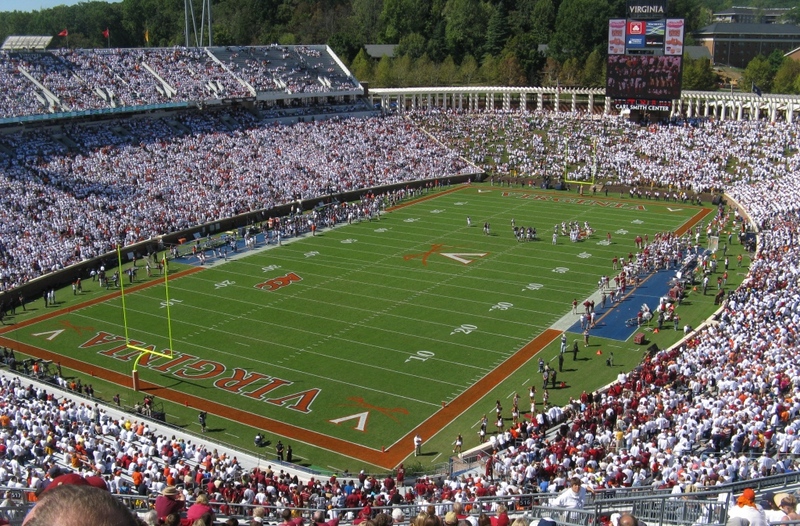 We drove to Charlottesville, Virginia last Saturday (October 2) for the Florida State vs. Virginia football game. UVA is a great place to watch a college football game, especially when your team (FSU) jumps out to a 27-0 lead at halftime and cruises to a 34-14 victory. Go Noles! Any recommendations from the group? Thanks in advance. I only got one reply, but it was all I needed. Lyle C. Brown, Head Brewer at Battlefield wrote me with an unbiased rundown of the Fredericksburg options, including a couple I hadn’t considered. He described The Pub as having standard American pub grub, which happens to be my favorite kind of food. When he mentioned that burgers are on special on Saturdays, I was sold. It didn’t hurt that there were five house brews on the beer menu! The Pub is in Chancellor Center, a shopping plaza on Route 3 West not far from I95. We had caravanned to the football game with my sister’s family and we pulled in with an eight-top, including four kids. My brother-in-law is a home brewer so it wasn’t too hard to talk them into stopping at The Pub for dinner. Everyone loved the place! The Pub had great service and an awesome menu offering any kind of pub grub you can imagine — fried pickles, anyone? The burgers were top-notch (I had the Bacon BBQ burger). What more could you want? Oh yeah, the beer! Chancellor Ale, a delicious American Pale Ale made with Simcoe and Amarillo hops (5.5%). Iwo Jima Red Ale, made with East Kent Goldings hops, this brew had an amazing dark ruby color and great flavor (6.4%). Coral Sea Kolsch, a light, easy drinking German-style ale (5.0%). Chosin Reservoir Pilsner, my favorite of the sampler, and I’m not a huge fan of the style. This beer is made with corn flakes and four kinds of hops (5.3%). Gates of Vienna Style Oktoberfest, a drinkable Fest brewed with seven types of malts (5.6%). Everyone had a different favorite beer, as they were solid across the board. I wished we could have stayed longer and didn’t have another hour on the road ahead of us. And I should have brought a growler! Oh well, we’ll have to go back. 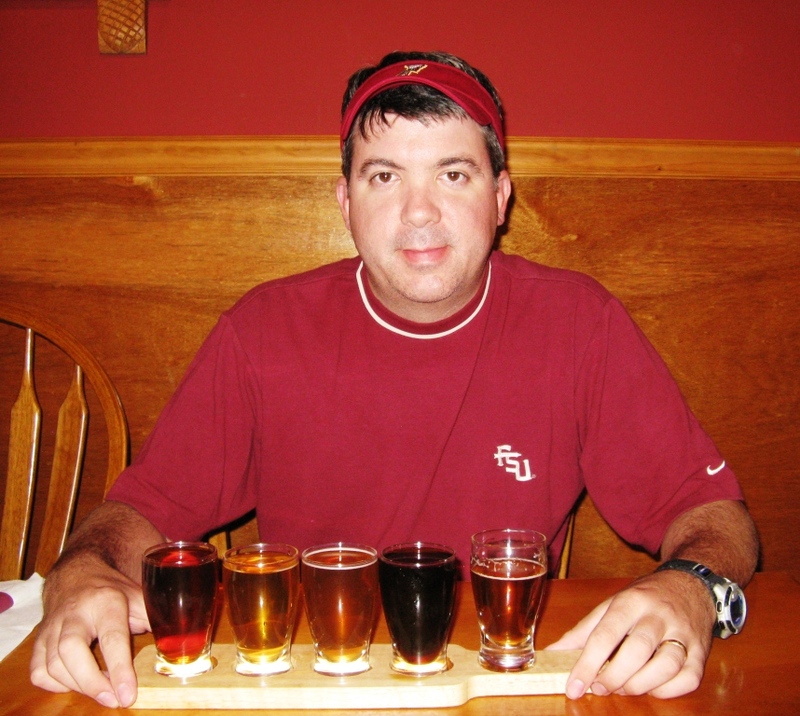 I’d like to take a day trip to Fredericksburg to tour the battlefields and sample the brews.